This is very true, but my article wasn’t about where you should hide your food. I was simply suggesting some possible storage places and reminding the reader to take temperature, humidity, and sunlight into account. The locations I suggested are fine for temporary disasters like hurricanes, blizzards, and tornadoes that knock out power for several days. However, if you’re in a long-term disaster where supply lines are cut and food is scarce, there could be looters going from home to home taking people’s supplies. Even if that doesn’t happen, the government could confiscate your food under Executive Order 13603 which allows government agents to take peoples’ supplies during a national emergency. In case either of these things happen, you should find some good hiding places. Doing this requires thinking outside the box. When you look around your home, don’t just look for places to hide your food, think about ways to turn everything you see into a hiding place. With the former, you’ll only see obvious places like drawers, cabinets, under beds, etc. But with the latter, you’ll notice less obvious places like lamps, speakers, pillows, etc. You might not find enough hiding places for all your food, but at least you’ll have some left over if the rest is taken. Also keep in mind that unless you have a detailed system for rotating all your hidden food, you should only hide food with a shelf life of several years such as forever foods, canned food, dehydrated food, and freeze dried food. Make sure this food is stored in mylar bags and/or airtight containers because if your food gets contaminated, then you hid it for nothing. For more info, check out The Beginner’s Guide To Emergency Food Storage. I know what you’re thinking: “That’s not a good hiding place!” But I’m talking about the gap between two corner cabinets that most people never use. Build a shelf back there where it can’t be seen. This video shows how to create a secret hiding place beneath a kitchen or bathroom cabinet. Thoroughly clean and rinse out bottles of bleach, body wash, hairspray, shampoo, etc. and stuff mylar bags of food in them. To do this, you might have to cut off the top of the bottle and superglue it back into place. As with the last suggestion, empty out some boxes where most people would not expect to find food. For example, the original boxes for your appliances, electronics, kitty littler, laundry detergent, and so forth. If you have an old TV you’re never going to use again, you could hollow it out and put supplies inside. After the SHTF no one is going to be interested in your old TV, especially if there’s no power. Look around for other obsolete devices you never use. Of course, this depends on the type of lamp. But you might be able to fit food inside a hollow lamp or inside the base of the lamp. Here’s an example of how to make a hiding spot behind a piece of trim. You could create a similar hiding spot behind a painting. This could significantly block air flow so only do this in a room that you don’t use often or that you don’t mind being a little warmer. Pull your bed out from the wall about a foot and stack buckets of food back there, then neatly cover it with a blanket. The idea is to make it look like you just have a large headboard with a decorative blanket on top. People might search under your mattress, but most of them won’t think to look inside the box spring. You could fit several #10 cans and bags of food in there. You might only be able to fit a bag or two in these, but unless someone picks it up they won’t realize there’s anything inside. Here are some basement steps that have been turned into secret storage spots. There are companies that specialize in furniture with secret compartments. This can be expensive, but if you can afford it check out CovertFurniture.com. Here’s an example of why the food you hide must be in airtight containers. Unless looters are looking for bird seed, they probably won’t look twice at a birdhouse. Just be sure it’s weatherproof. I recommend sealed mylar bags in food grade buckets (you could even go one step further and put them inside a large ice chest or something). 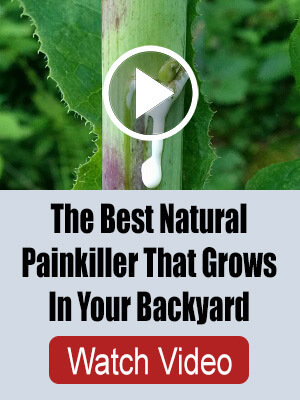 Bury them in your backyard and cover with leaves or plant some grass. Just don’t forget where you buried them. You might want to draw a map or tell someone you trust. Fill some large PVC tubes with canned food and bury them under your garden. People will be too busy taking food from your garden to think about digging it up. I could go on and on. Pretty much anything that is hollow or can be hollowed out is a potential hiding place. Be creative. For more interesting ideas, check out this Pinterest board. If I forgot something, please comment below as I’m always looking for new ideas. 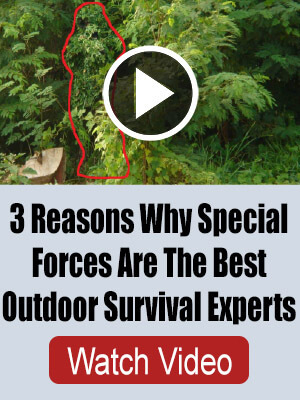 Also be sure to check out 9 Methods for Hiding Your Survival Garden and 11 Places To Hide Your Guns Where Nobody Will See Them. Thank you. I’d rather be nuts than dead with the other sheeple. From what I read, not only CAN they procure our food, meds, water, weapons (if they haven’t done so before), etc. but they WILL. Not only these things we’ve gathered for our own needs, but other things as well such as our vehicles. It also states that procuring citizens for induction into the armed forces for the national defense WILL be done. Procurement of anything and everything can and WILL be done in the name of NATIONAL DEFENSE. If anyone thinks ” you people are nuts” and “People actually do this? Seems like living in fear to me.” and “Seriously?”, I’m positive none of us who SERIOUSLY believe an EXECUTIVE ORDER was signed by Obama in 2012, will just stand around and shout we told you so. We’ve all have been warned over and over what’s coming. Not coming you say? Wel, then why would an executive order need to be laid out and signed? Wake Up People! Thank you for providing yet another article for those of us getting ready for what IS coming. No, what’s “nuts” is believing your government is more concerned about your personal well being then their own ability to survive. Stalin said “the death of one man is a tragedy; the deaths of millions, a statistic.” Gov’t will sacrifice you to survive. Pretty “nuts” of you to think otherwise. This is pretty poor advice. Sure, run-of-the-mill thieves will grab what’s laying out, and leave quickly. But armed, scared, starving people who find your cupboards bare will not hesitate to spend some time demolishing your walls, floors, smash anything they can lift and throw, etc., all in a vain attempt to find food. They might only be expecting to find an old pop-tart that fell between the cabinets and similar, but they’ll be only too happy to investigate the Mylar bags that fall out of strange hiding places, and be encouraged to rip the rest of your house apart. Real hiding places are unmarked holes in the ground. This is the basic advice given for placement of bomb shelters and associated supplies. How many centuries, now, after the demise of infamous pirates that people still looking for buried treasure? People actually do this? Seems like living in fear to me. Maybe you should read this: https://www.ready.gov/food ..
Its better to have it and not need it than to need it and not have it! technology, for national defense requirements;”, seems to mer to say they can take whatever they want for the betterment and survival of the government. Thar’s what I read of it too. Anything and everything, even people to include into the ‘national defense’. It’d be a good way to use our young to round up those over a certain age into a camp or whatever they’d want to do, such as portrayed in the movie Deep Impact where those over the age of 50 weren’t included in the national lottery to be saved. Under out stove we have a warming oven. We cut out the floor and made a box (we have a wood floor) about two foot deep and the width and length of the stove. We insulated it and made it moisture proof. Filled it, then replaced the wood. On top of the wood, we placed bricks, then put the stove back in place. It looks like we simply elevated the stove. Did the same with the refrigerator minus the bricks. We have vinyl fool tiles, so it just looks like the floor. The same with the dryer and washer. Our bed sets directly on the floor (don’t like metal rails), guess where the next box set. We have brick around the outside of our house so there’s no way to see under it unless you have a sledgehammer. Our chicken coop is now insulated and the false ceiling and floor has now become home to ammo and 9 knives, 3 machetes and 3 billy clubs. In my closet wall is a large storage of fuel. The hollow doors contains rolls of quarters, dimes, nickels, silver and gold. Thank God we now live in the mountains. In the space inside and above a closet door. Esp if it’s a hung door. How about installing a 4″ plastic PVC pipe that will look like a sewer drain……….. unless they are a plumber, they aren’t going to realize its a fake and has a LOT of volume for food, weapons, supplies, etc. Just don’t install it next to the real sewer pipe…… or make it obvious that you seem to have a large number of pipes. 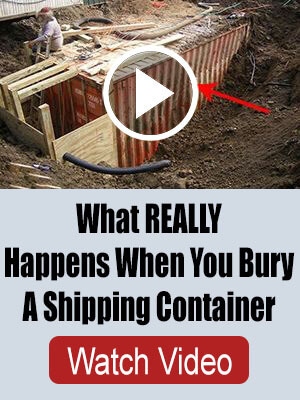 You can even install a 4″ trap on it, so you can access whats inside without having to pull the whole thing down, if you’re somewhat handy. (e) “Food resources” means all commodities and products, (simple, mixed, or compound), or complements to such commodities or products, that are capable of being ingested by either human beings or animals, irrespective of other uses to which such commodities or products may be put, at all stages of processing from the raw commodity to the products thereof in vendible form for human or animal consumption. “Food resources” also means potable water packaged in commercially marketable containers, all starches, sugars, vegetable and animal or marine fats and oils, seed, cotton, hemp, and flax fiber, but does not mean any such material after it loses its identity as an agricultural commodity or agricultural product. I just read the whole order too, and it does indeed DEFINE food stuffs, which is what you quoted here, (see that up there, it’s called a “definition”. That means it tells you what something is). It also defines energy and farm machinery and fertilizer, and several other supplies. No where in the order does it give any agency or any person the authority to seize anything from private citizens. Talks a lot about BUYING stuff and keeping production up, and loaning business money so they can produce things needed for out defense, but not any sort of seizure. You can take off your tinfoil hat now. There are enough possible disasters to prepare for without making things up. Ummm, did you forget about local and state authorities going door to door during Katrina to confiscate personal weapons? Do you? That’s NOT legal either, but when 3 or 4 SWAT dudes show up, you gonna make a impassioned legal argument are ya? Good luck with that. Hit me back and lemme know how it worked out, k? Not creative, no volume, the better idea is to get the heck out of the city. Wish you well, truly. Hope you get out. The problem is that getting out of the city isn’t an option for many of us. I moved out and bought a farm 18 years ago. I grew up in the woods, owned a timber company, and moved to the thissywhistles years ago. Leaving the city is always an option. God is able, and willing. That’s one in how many? Most people that think they are woodsman will get to the great wild and die. It’s not the big party they think it will be. What you say is so true. I have seen many try to come out and have no clue what they are doing. There is acreage behind me for sale for just that reason right now. It is always an option to change your life, to learn what is necessary and to move. I am not speaking of you particularly as I do not know you. I am however, very willing to teach the skills necessary. Guess you never figured a Bic lighter could burn down your fortress. The ONLY way to be protected is A) underground, B) in a masonry structure with no flammable materials presented to the outside, C) have the personnel to defend your base from attackers (cleared fields of fire), or D) be so remotely located that any interlopers will be in one’s and two’s, thus easily dealt with. Good luck.